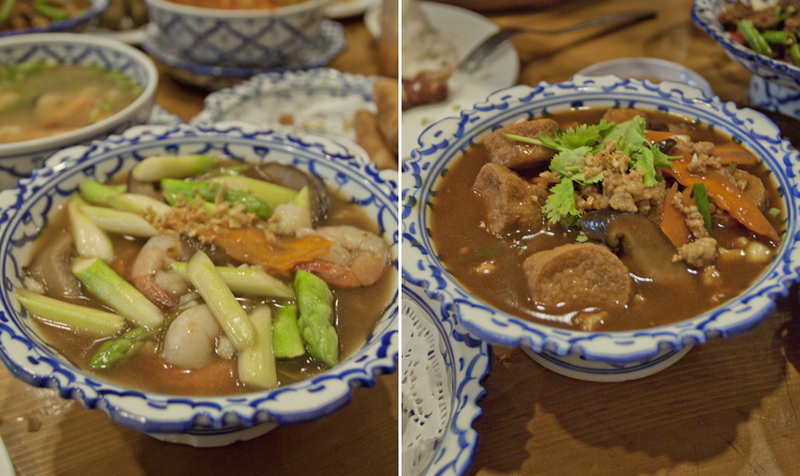 Thai food is totally our kind of food. We can go on and on about how thai ice tea is awesome with crushed ice and the sweet & sour sauce makes crispy spring rolls twice as nice. 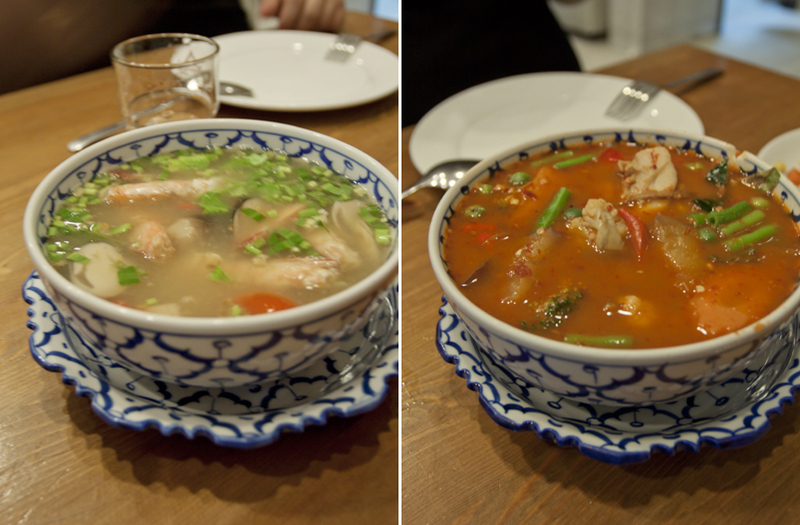 Our taste buds thrive on tom yam soup and my favourite is Nakhon Kitchen’s clear tom yam soup with prawns. The soup looks inconspicuous but the spiciness creeps up instantly when you take a sip. For $6, it is such a steal with the fresh prawns! Two other must-haves at Nakhon Kitchen are the fried grouper with thai chilli sauce and pandan chicken which are both so crispy and flavourful. There are also four different variations of chilli sauce on our table that we can add to the dishes. The rest of the dishes like pineapple rice, asparagus with prawns and minced pork with tofu are decent too. 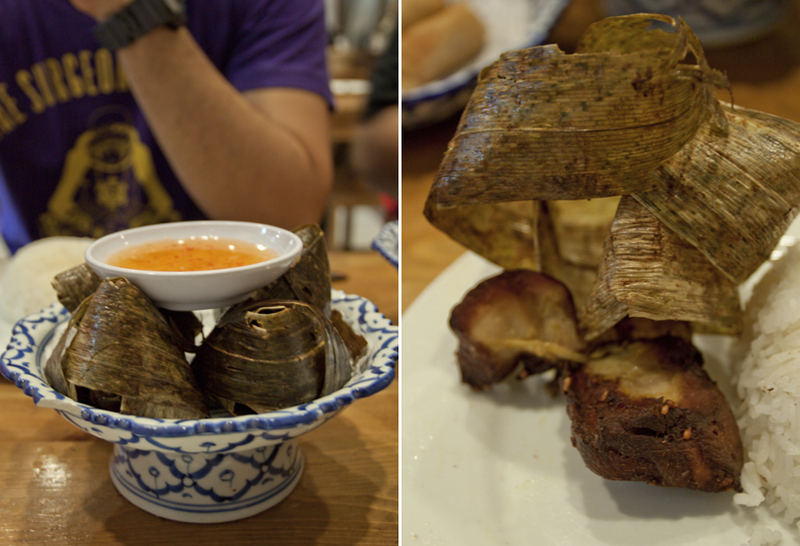 The best part of it all is that every dish is priced between $6 – $8 and the fried garoupa at $22. We eat there at least once a fortnight and visit the bowling alley nearby. This entry was posted in Fun and tagged food, happy, photography, Thai, yummy by lifestartsonfriday. Bookmark the permalink.